Are you in love with narcissus bulbs? Bulbs that pop up when Winter skies are grey, when clouds hang low over dormant gardens, when frigid temperatures make your teeth chatter? Are you in love with bulbs that push their way through frozen ground and promise Spring is around the corner? 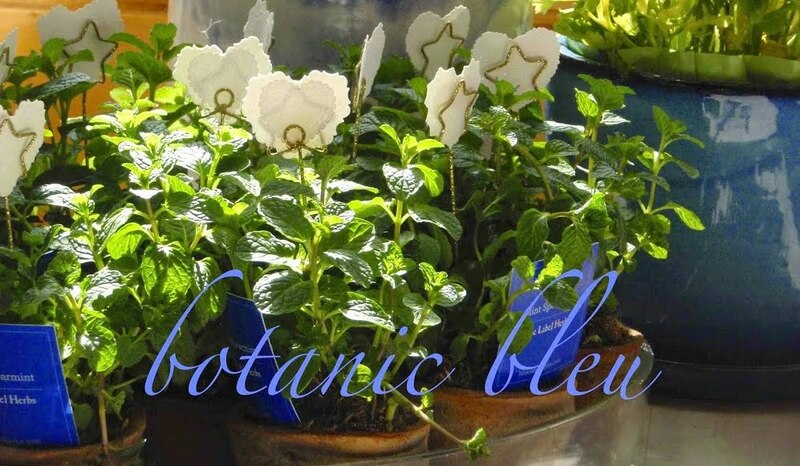 Daffodils, narcissus, jonquils, buttercups, paperwhites... come in many colors, color combinations, and trumpet shapes. With so many options, everyone can find daffodils suited for their personal preferences and garden requirements. NOW is the time to order the bulbs to insure your bulbs will be planted at the right time this Fall. 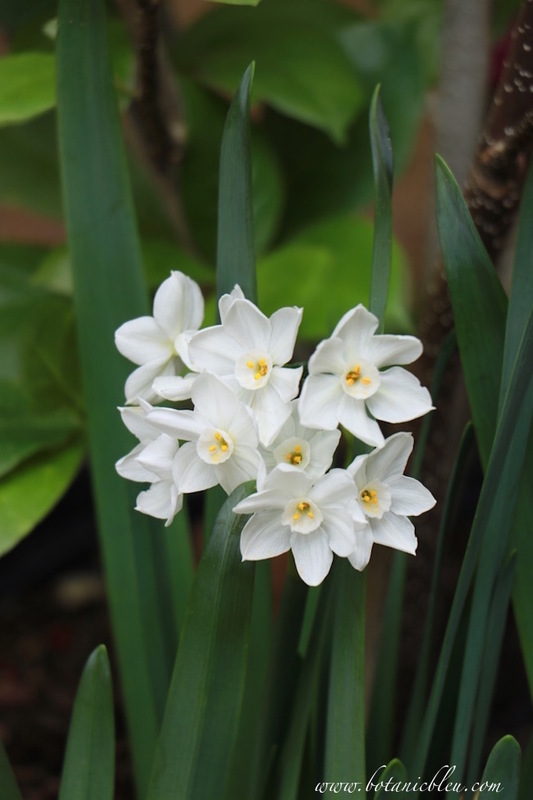 Here are three spectacular white narcissi to order for your gardens, one for inside and two for outside. not just American farmhouse country. 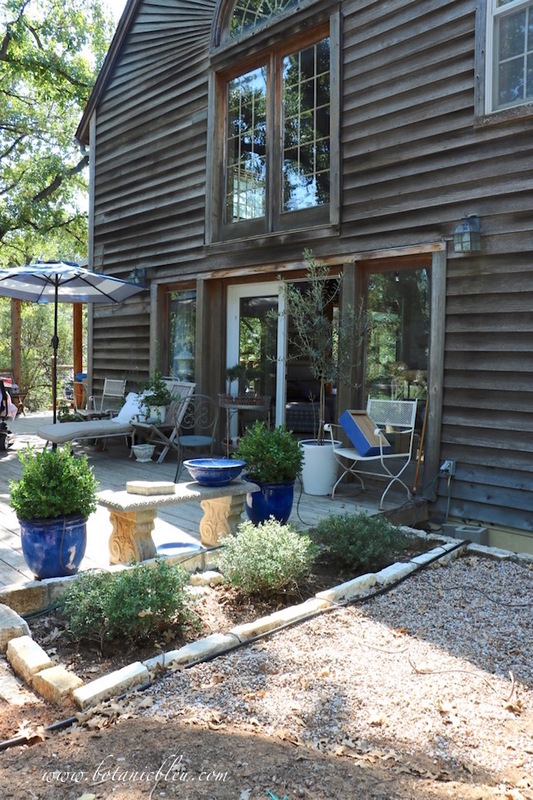 To transition a house from American Country style to French Country style means looking at every new purchase to see if it moves a room closer to French Country. 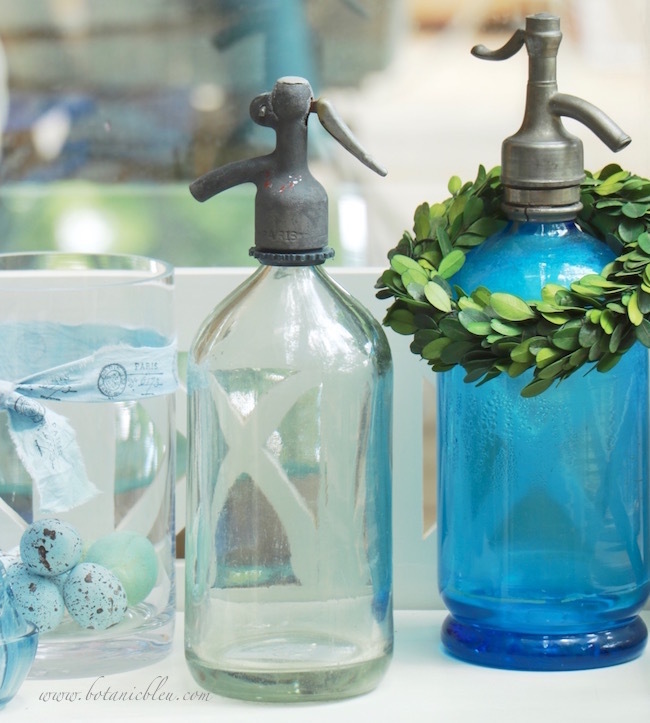 This may seem obvious, but sometimes you may lose sight of what you want your house to look like, and buy small items that do not add to the overall design. After you replace wingback chairs with French bergère chairs and replace braided cotton rugs with Aubusson carpets, a room has French Country as its foundation style, but you are not finished. Large pieces are only the beginning. Large pieces like sofas, rugs, tables, and chests set a room's style. Accessories add greater depth to a style by layering the look. Clocks, lamps, bowls, statues, pillows... provide finishing touches. 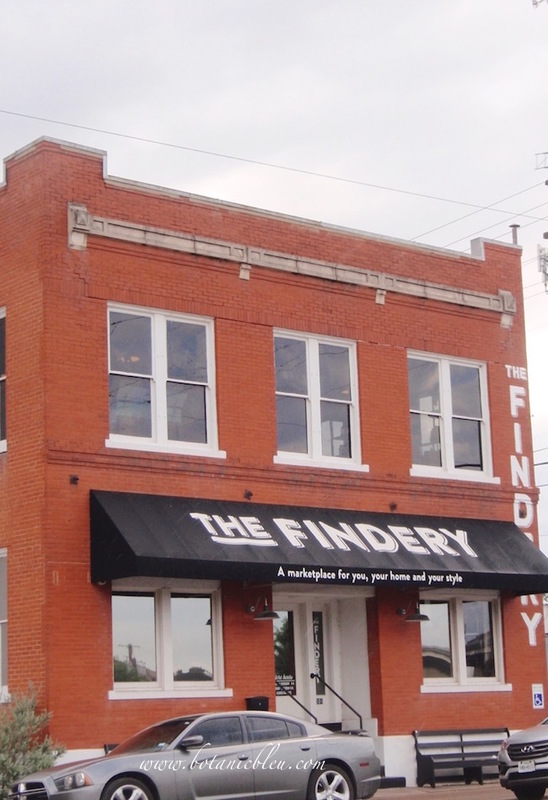 The Findery in Waco is a fun place to shop, filled with farmhouse country style, but the unusual store and adjacent warehouse also have French Country items. 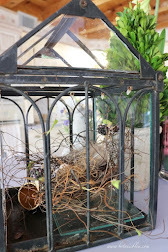 Here are some small items I bought from there to add layers of French Country design to my ever evolving French-inspired garden and home. 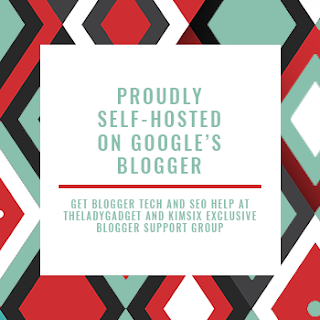 I am not associated with The Findery in any way, but am sharing about their store because I always love finding new places to shop and think some of you may, too. Summer officially ends today, September 22, and with it, the end of summer decor in the garden shed. As I look around the little chateau de jardin d'été (summer garden castle), I realize the contents fall mostly into three categories. 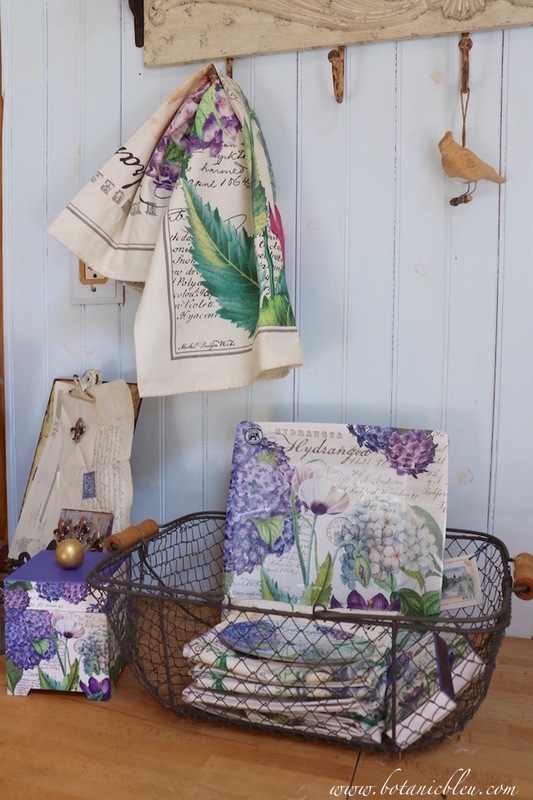 Linens, paper, and pottery, things I love, are casually scattered around the garden shed amongst companion items. Everything, it seems, has a story. Big, small, but a story. call for unexpected fall decor. As seasons change, we see a difference in Mother Nature's attire. As Fall arrives, colors in nature change. For some parts of the world, green leaves fade to yellow, orange, and red, and then drop to the ground creating a vivid palette. In other areas, like Texas, color changes are more muted, without the vibrant reds, oranges, and yellows. Instead, deep green leaves fade to paler green as they lose their summer color, then change straight to brown. Fall comes in all shades, and home Fall decor can also come in all shades. 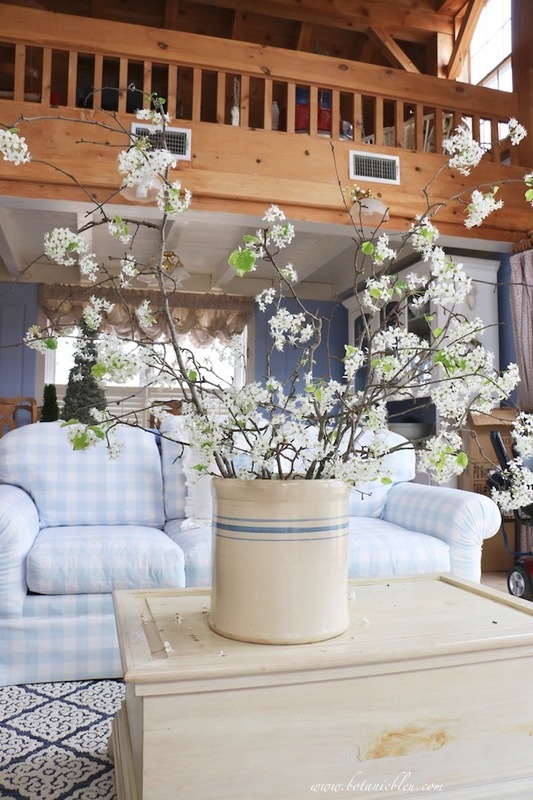 Subdued Fall displays still celebrate the changing seasons and can give an unexpected fresh look to your home. 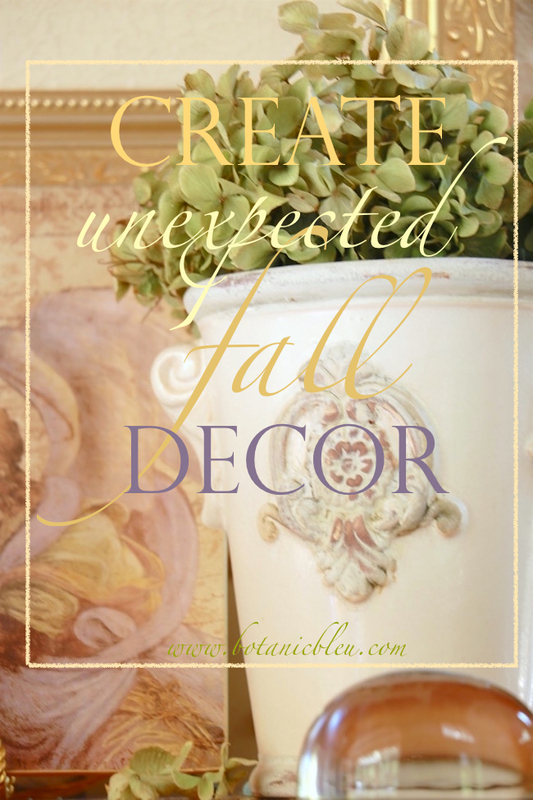 If you are like me and shudder at decorating with orange and brown, RELAX, and create unexpected Fall decor by using muted colors instead. 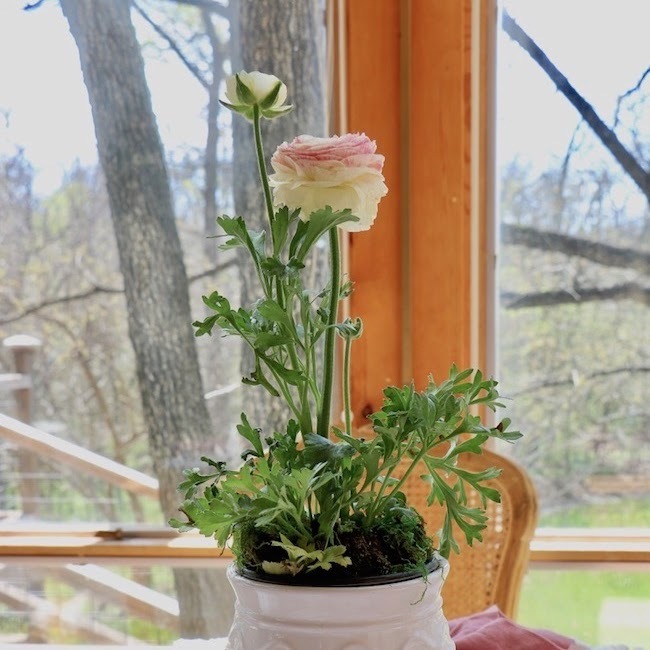 Plus, you do not have to use cornstalks, acorns, or pumpkins to create a little Fall magic in your home. 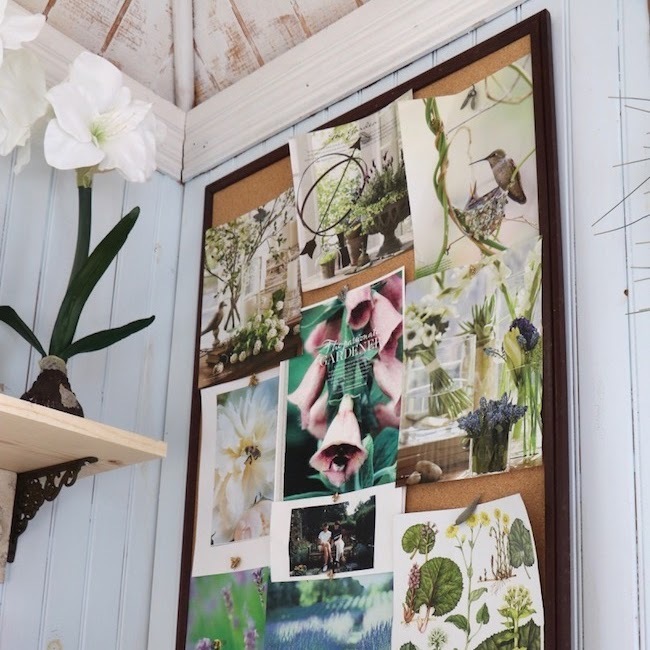 Before summer slips away on September 22, take a look at how the French-inspired garden shed looked inside this summer. 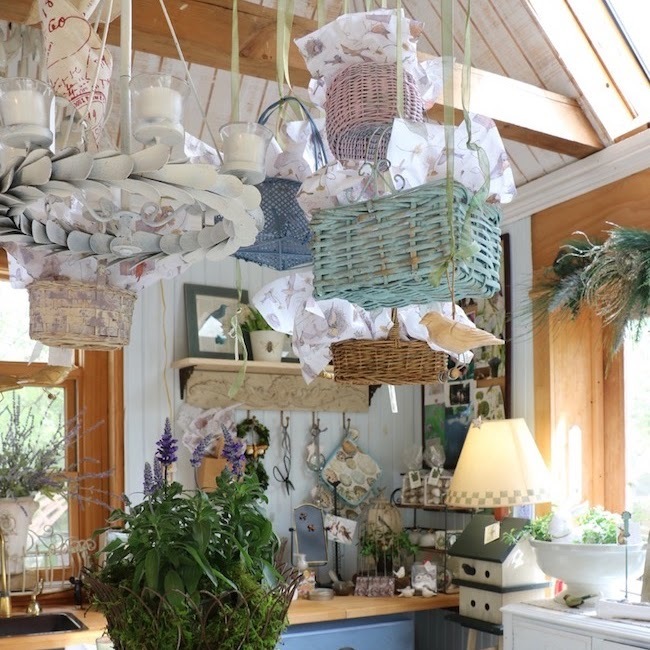 Usually the only time you get to see inside the garden shed is around Christmas when it is filled to the rafters with French Country Christmas inspiration for shoppers. 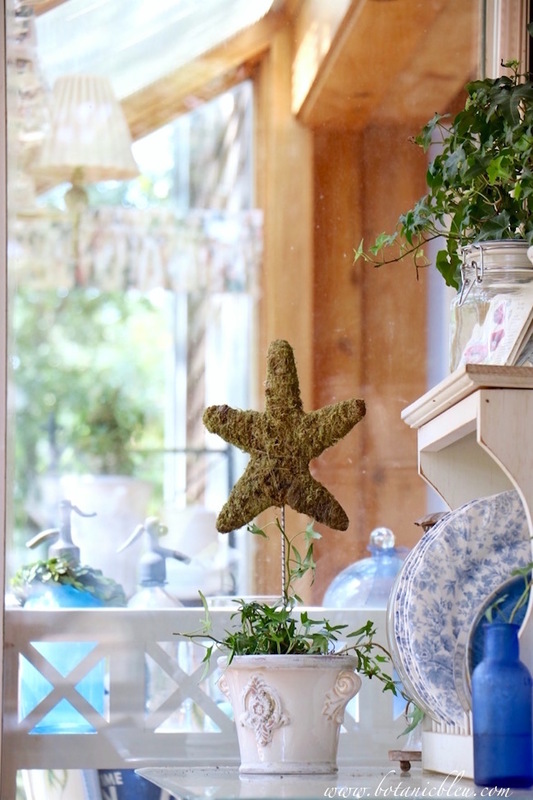 Once the winter holidays are over each year, the garden shed takes on a relaxed atmosphere. 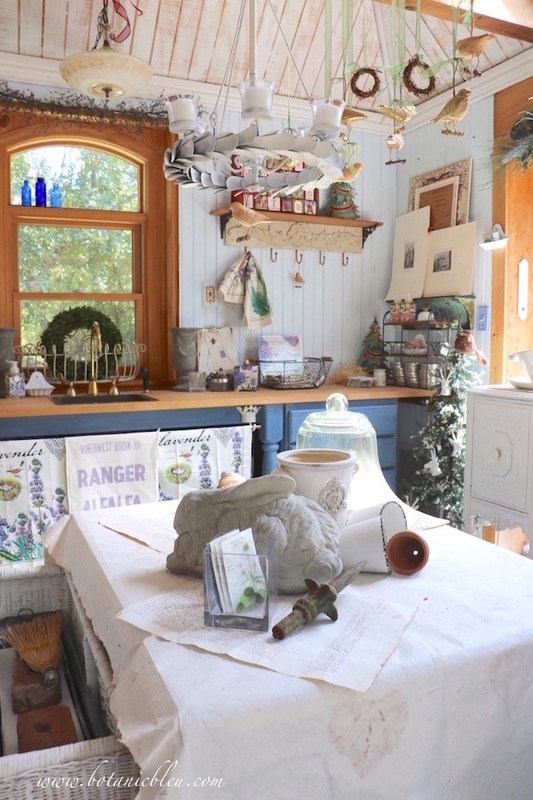 There are always a few Christmas-y things hanging out in the shed all year since this is the best place to store them, but the space has more of a garden house feel than a Christmas shop feel.